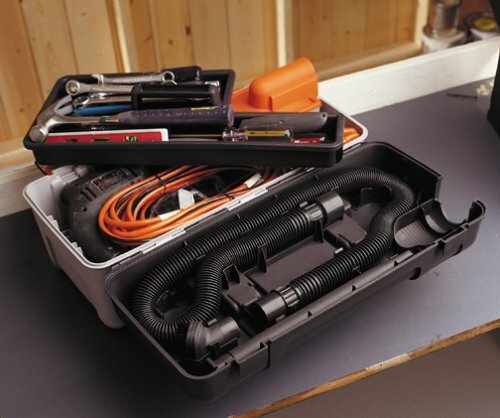 The Eureka Toolbox Vacuum is ideal for the do-it-yourselfer. Drill a few holes and clean up the sawdust with the onboard vacuum. Features a removable tool tray, reusable cloth dust bag, on/off switch and 20-ft. cord with internal/external cord storage. Clean with damp cloth. Imported. 8-1/2Wx22Lx10H".